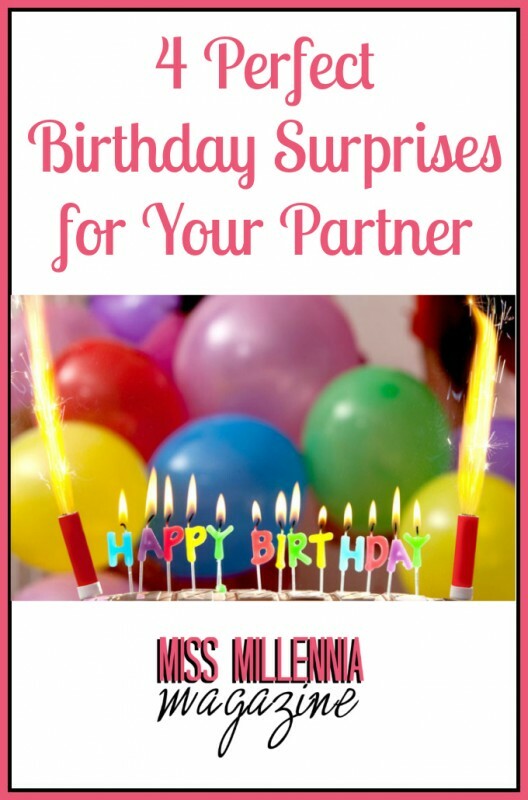 If you are in a relationship, then the chances are you’re looking for ways to spoil your partner on their birthday. Nothing does that better than putting in a lot of effort to plan a date. Most of us are blown away by the little details that people remember about us, and having a partner who truly knows what we want is the dream. Why not show your other half how special they are on their next birthday by planning the kind of surprise they deserve? Cooking a meal shows how much effort you are willing to put in to spoil your loved one. Brush up on your cooking skills first with some lessons or cook a simple meal. If you wanted to completely shock your partner, then why not hire a Personal Chef in NYC here? You could do some research online first and find the perfect chef to cook the meal you have in mind. Let them spoil your significant other with a range of luxurious dishes in the comfort of their own home. This will earn you some serious brownie points and shows just how much you care. Get the champagne or wine on ice to go alongside, and you are destined to impress. Planning a surprise party for their birthday is a good place to show how well you know your loved one. People are often a bit skeptical of surprise parties, as they can often be tacky and embarrassing. If you are going to do it, do it in style. Throw the mother of all surprise parties with fun-loving guests and the best food and drink. Think stylish party decor and a night of wild antics. The best surprise parties are fun, frivolous, and enjoyable! If you are going to dare to theme your party, then make sure it isn’t overdone or tacky. Think something like a glamorous 20’s themed party. This means that everyone can wear amazing outfits and still look the part. Have a stylish, personalized cake made to show someone how much they mean to you! Hire someone to bake and decorate an impressive product with decorations to surprise your loved one. Use their favorite colors or a theme. Think of something they love and customize the cake to suit this. Cute little custom-made cupcakes also work well. If you have a good budget to spend on your partner then why not take them on a romantic trip for their birthday? You could plan out the details of where you will go and surprise them. Put the travel tickets in a beautiful gold envelope and hand them over on the morning of their birthday. Perhaps along with breakfast in bed? A luxurious treat with a wonderfully exciting outcome! Places such as Paris or New York would be an amazing destination to consider. Feel free to add your own thoughts and let us know how you get on!